Happy Saint Patrick’s Day, 2011!!! Happy Saint Patrick’s Day, 2011!!! 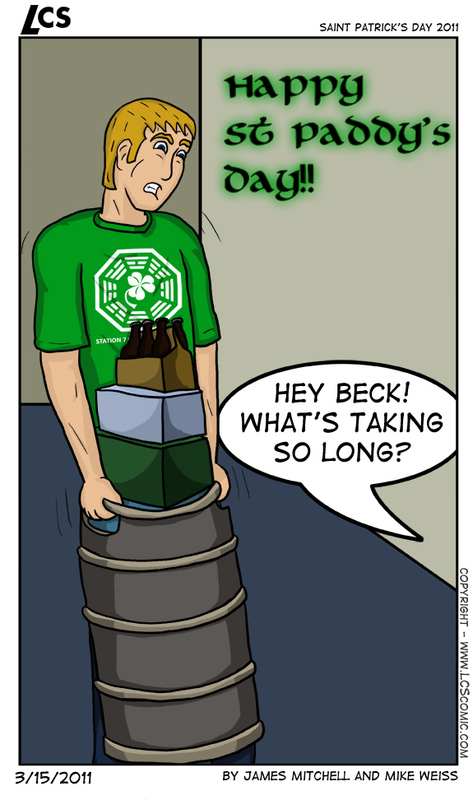 published on March 15, 2011 Read more posts by the author of Happy Saint Patrick’s Day, 2011!! !, MikeNo Comments on Happy Saint Patrick’s Day, 2011!!! Mike: A heavy keg is a good sign. It’s that time of year again. The perfect excuse to drink… a lot! James: Tis the season for drinking unhealthy amounts of alcohol. Try not to die.